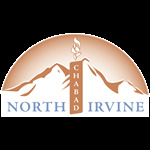 A Memorial Wall has been set up at Chabad of North Irvine in memory of Mr. & Mrs. Barry & Rhoda Goodman and Morris & Huguette Saldinger A"H.
Our sages tell us that the best memorial for a loved one that has passed on is to donate Tzedaka (Charity) in their memory. With a $500 Tax-Deductible contribution, you can dedicate a plaque on the Memorial. 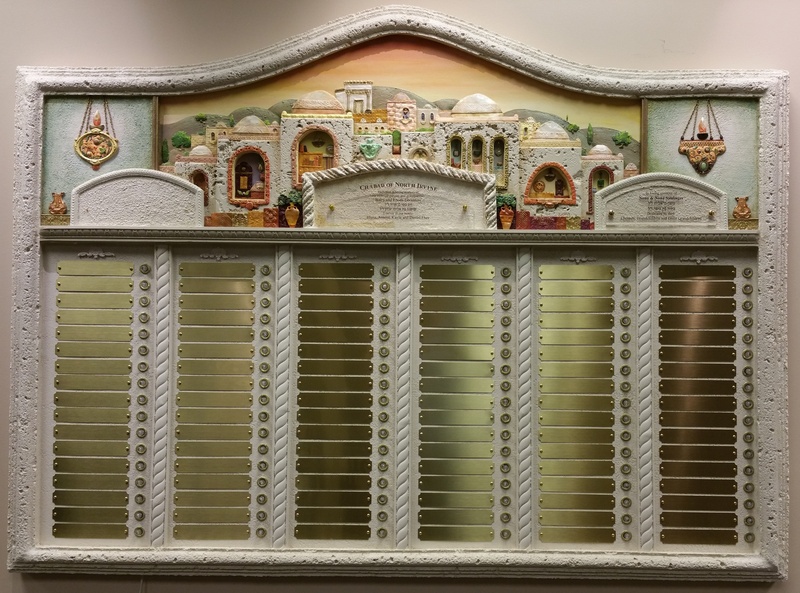 Each plaque will be engraved with the name of the deceased, (Hebrew & English), and date of passing on the Jewish and secular calendar. During the Yizkor Service the names on the Memorial Wall will be mentioned in prayer and printed in the Yizkor Memorial booklet. The lights which are adjacent to each plaque will be lit on days when the Yizkor Service is recited and also during the month of Yarzeit.